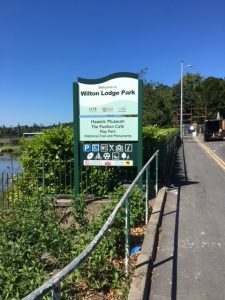 CMC Associates and Border Signs & Graphics were jointly commissioned to produce a family of interpretation and directional signs for the Wilton Lodge Park at Hawick. CMC worked extensively with the Hawick Museum to research and prepare the content. 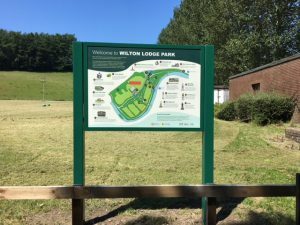 We produced four large panels, one for each of the park entry points informing the public about the amenities, history and biodiversity at the park. Eight smaller lecterns were also distributed within the park highlighting key locations, structures and statues. Three larger gateway signs, 3m x 1m, were also produced for the park’s traffic entrances. Their design was compliant with Traffic Regulations with structure drawings supplied to the planning authority for approval.